Send us a list of part numbers and models, If Dell then "service tag". Send us a configuration if possible. We remarket used IT Hardware at the best price in the industry. As one of the leading (ITAD) IT Assets Disposal company in the India, We provide complete IT Assets disposition solutions. 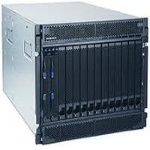 We buy used IT equipment including servers, Ram, Motherboard, Processor, Storage, Library, Networking , Routers, Switches, Laptops, VOIP, Printers etc. of all manufacturers including HP, DELL, IBM, CISCO, SUN etc. What does selling used IT hardware to Maxicom means?